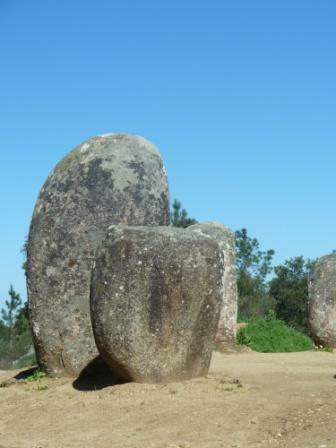 One of the attractions of my going to OBRAS Portugal for an artist residency was the marble that is found in the Estremoz area. I had already seen examples of this lovely, varied but subtle white marble on previous visits to the Alentejo, but it seemed to me that its character lent itself beautifully to silverpoint drawing. 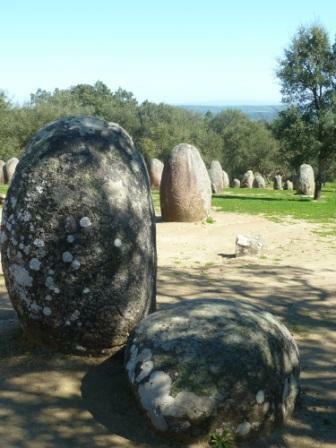 The marble is found in a wide swath in the Alentejo, 27 km by 48 km, running NW-SE, with a depth of nearly 400 metres, but Estremoz is near the centre of the area.Historically this marble has been mined since 370 BC, as was discovered by a tombstone, and the Romans used it for many building projects. The Roman temple in Evora has bases and capitals of marble, while the Roman theatre in Merida, Spain, also has Estremoz marble. It was soon being widely exported around the Mediterranean and by the Middle Ages, this marble was incorporated in major religious and secular building projects throughout Portugal. 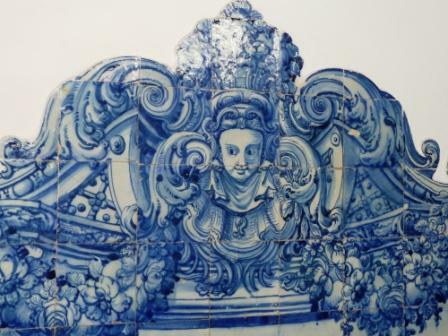 By the 15th century, Estremoz marble found its ways to Africa, Brazil and India, in all parts of the Portuguese Empire. The list of important European buildings adorned with this marble ranges from the Jeronimos Monastery in Portugal, to the Escorial Monastery in Spain, to the Louvre, Versailles and the Vatican. 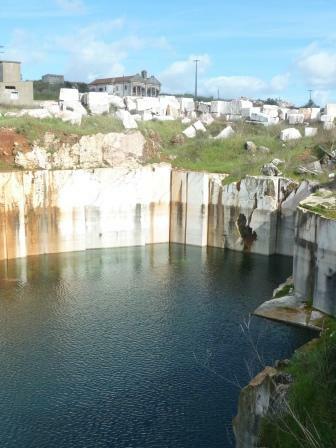 Now, the marble is exported worldwide, and Portugal is one of the major producers of marble in the world. In Estremoz itself and the surrounding areas, marble is an integral, elegant part of all aspects of building. Door and window frames, lintels, floors, stairs, pavements walls – there are touches of marble everywhere, and the cemeteries are a celebration of this stone. 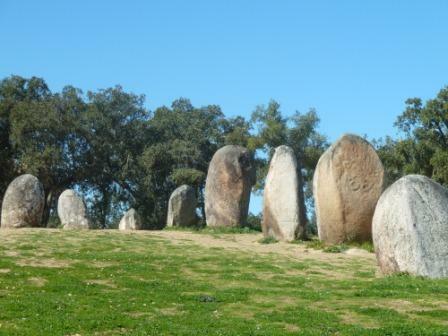 Of course, sculptors celebrate this marble as well and there are many artists currently working in it in the Estremoz area. One such sculptor whose work I acquired is Pedro Fazenda. Its colours are mainly white, some with veins and then there are subtle rose shades that can be beautifully translucent, some veined, some less so. The mines themselves are deep and vertiginous – huge blocks carved out, down and down. Some of the mines have been abandoned as water sources were struck and the quarries filled with water. Others are still a forest of cranes and heavy equipment disappears down to tinker-toy size far below the surface. Vast mountains of tumbled blocks of waste marble rise drunkenly to the sky in olive groves, and there are piles of sawn-off pieces of marble that beg to be touched and taken. Cores of marble samples lie in abandoned factory areas, while other leased-out mines hum with activity. 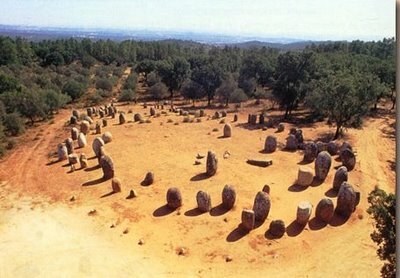 There is always the question of how to use the waste marble – one vast pile outside Estremoz was apparently destined to be ground into the chips for the bed of the AVE high speed train link between Madrid and Lisbon. Alas, EU funding dried up for that project and the giant blocks remain intact today. After a marvellously creative and stimulating time at an OBRAS art residency in Evoramonte, Portugal, I have been remembering back to vignettes of great beauty. One of the wonderful delights, of course, was seeing the diversity of the tiles or azulejos about which I have written previously. 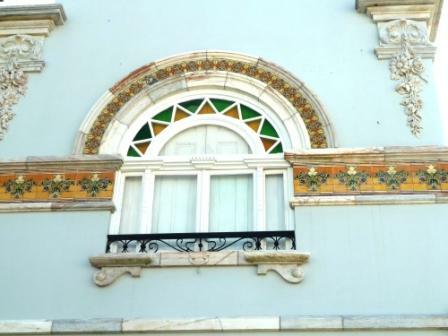 Since I was spending time in the fortress hill town of Estremoz, in the Alentejo region, I was charmed by some of the modern versions of tiles, adorning the facades of houses in the centre of town. More historic tiles in Estremoz include amazing tile pictures all around the outside of the original train station, serving a railway line built for the Kings of Portugal to travel between their various palaces.The railway line is long disused and a tangle of brambles and flowers, but the railway station in Estremoz is protected, with the tiles covered by Plexiglas against vandalism or theft. More delicious houses shouldered together around the main, vast Estremoz square, some of which told of their builders' dreams and aspirations. Much earlier azulejos adorn the handsome stairs up the main building of the present municipal offices, once part of the “Congregados” convent and church that was started in 1698. I was fascinated by the hunting, fishing, boating and picnicking scenes, and thought the top “ladies” were fun. 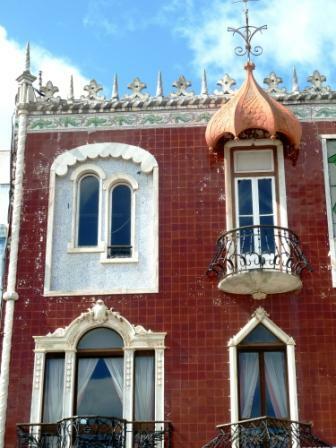 Everywhere you go in Portuguese towns and cities, there are details of interest or delight that stop one in one’s tracks. 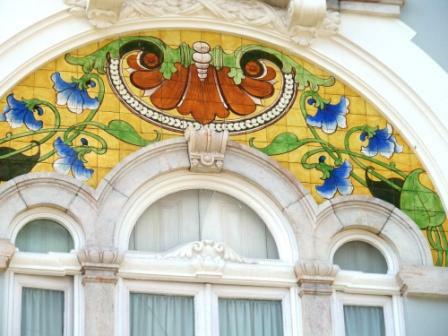 The azulejos, modern and of previous centuries, never fail to add colour, harmony and life to buildings. I have always admired Paula Rego's capacity to draw really well and also to skewer people in the political art she does so effectively. I was really thrilled when I was accepted into the New Hall Women's Art Collection at Murray Edwards College, Cambridge, (www-art.newhall.cam.ac.uk/gallery/artists) because they have some of Rego's work. Now Paula Rego is having a new museum dedicated to her in Cascais, Portugal, her home country, and she is ever more enthusiastic about drawing. In a recent interview with Andrew Lambirth in The Spectator (http://www.spectator.co.uk/), she talked about the process of creation through just getting on and doing the drawing, mindful of the changes which will probably take place. She explained, ..."when you discover what things look like from drawing them, it's most exciting. You forget everything else because your attention is totally focused on what you are doing ..."
Drawing is indeed a most exciting adventure every time you pick up a drawing instrument. You learn how things are put together and how they work, in space, in differing lights, in time. You have no idea what really will happen on the paper until you have completed the drawing (or, more accurately, when it tells you that you have finished...). The initial concept or inspiration that impelled one to launch on the drawing in the first place is never the whole story. As you look hard, at length and with increased understanding, at what you are drawing, you - the artist - are changing too. Your imagination is being stimulated and all sorts of new connections and thoughts occur. Every time one does even the briefest of drawings, life is enriched. No wonder Paula Rego talks of losing track of time when she is drawing. All acts of creation are miraculous erasers of the sense of time! Just ask the patient companion of any artist who has been assured that "this will just take five minutes to do..." as the artist tries to do a quick drawing or painting; half an hour later, or more, the companion is still probably waiting, less patiently! Being totally focused on drawing or painting is incredibly meditative and often healing too. Frequently I find that my sense of "the world being in balance" is directly related to how much I am painting or drawing. It has little to do with the degree of success of the art you are doing - it is the act of creation that counts. It is back to that excitement of drawing - the next voyage of discovery.